“If I drug tested my employees, I wouldn’t have any left! “ We hear that every day at Reliant Drug Test Solutions. Sometimes it’s said in jest, but many times employers actually mean it! But in all reality, that particular employer is probably right. What a sad commentary that is. To think that an employer cannot find qualified employees who are not substance abusers. Let’s face the facts; substance abuse is abundant. Across all job categories combined, about 10% of the public is using illegal drugs. But in manual labor jobs (e.g. construction) or jobs that don’t require a higher education (e.g. restaurant, retail) the percentage can be about double. Don’t take that to mean that those with a higher education or higher social status are not using illegal drugs; they are, and in equal or greater numbers. There’s some good news and there’s some bad news. First, some good news… even if your particular occupational category has a user rate of 25% (which is very high) you still have a non-user rate of 75%. “But those employees already have jobs,” you say. That’s right, at your competitors! Here’s the bad news… if you aren’t drug testing employees, your individual company user rate could be 50% or higher. How did I get in this situation?perfect world, you would sort through several resumes and narrow your search to the top 5 or so. You would invite those candidates in for interviews. You would probably have one of your trusted employees also interview the candidate. After the interviews, you should have a favorite. You start checking his/her work and personal references. After everything checks out, you make the candidate a job offer. They give their current employer a two week notice and in two weeks, you have a new employee. Yeah… right! Here’s what usually happens: You have a big job and one of your good employees walks out. You are desperate. You need someone and you need them yesterday. You ask your other employees if they know anyone who needs a job. One has a friend who has been out of work for a while and could use the job. You hire them and they start tomorrow. That’s real world right? Believe me, I’ve been there! Why can’t I keep good help? In the scenario above, it all started with a good employee leaving. Why did he leave? If you have drug users in your crew, or on your staff, that employee may not feel safe at work. Maybe that good employee feels that you don’t care about him as an employee because you aren’t addressing the drug use situation. Maybe the employee is tired of producing shoddy work, which is what you get with a drug addicted staff. Maybe that employee is tired of filling in for other crew members that don’t show up. Whatever the reason, that good employee is now working for your competition! Birds of a feather. Just as bowlers hang around other bowlers, and Baptists hang around with other Baptists, (these are just silly examples, don’t read anything special into it), drug users tend to hang out with other drug users. That being said, if you employ one user, you probably have more. Especially if you have hired some friends of your workers. Avoid bad hiring. Change your hiring practices. Bad hiring happens when you rush. Instead of hiring on the fly, take your time and interview each candidate. It doesn’t have to be a lengthy interview, just talk to the applicant and see if you are comfortable with them. Ask them about their past jobs. Be sure to check those references. And last but not least DRUG TEST all applicants. Know your state’s laws. 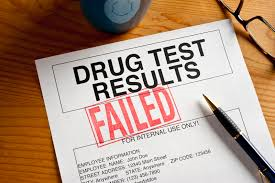 In most states, you can only drug test an applicant after you have made an offer for employment. But your state may be different. You simply make the job offer contingent on favorable results of a drug test (and sometimes a background check – but that’s a different blog). If they pass the interview, have favorable references, and successfully pass a drug test, you have a high probability for a good, long term employee. Other testing circumstances. Aside from pre-employment testing, there are several on-going testing circumstances. They are: Random, Post-accident, Reasonable Suspicion, or For Cause, Return to Duty, and Follow-up testing. All of these circumstances are recommended for a comprehensive Drug Free Workplace Policy. If you don’t have a comprehensive policy, you should think about getting one. “Look what they’re doing to us!” This is something you may hear if you have recently started a drug free workplace policy. Some people consider drug testing a waste of time or an invasion of privacy. Assures Safety – keeping empaired employees from causing accidents or injuries. Provides Continued Employment – if work is shoddy, there’s less or no work. Increases Security – 80% of drug users steal from their employer and other employees. Provides many other hidden benefits to your employees. Persistence is the key. Several clients have expressed concern that they can’t find anyone who can pass the tests. This is not uncommon. Chances are, if you have not been drug testing in the past, you’ve probably become known as a “safe haven” for users. That is not a reputation you want. Once you start testing, make sure you let everyone know. Put notifications in all your Help Wanted advertising. Post signs in your place of business. Tell interested applicants that they must pass a test before they can be hired. In an interview, tell them up front that they will be drug tested. By doing that, you are letting the candidates and the world know your stand on hiring drug users. Substantiate your drug testing costs. Drug testing is not free. In fact, if you are just starting a drug free workplace policy, your expenses will probably be higher at the beginning. But it’s worth it. Here’s what you can expect if you start drug testing. What better way to validate the cost of drug testing than an increase in your bottom line! The choice is yours. The choice to drug test or not is one that is entirely up to the employer. There will be increased costs, but these are offset by decreases elsewhere. You may lose some employees, but if they are drug users, is that a bad thing? You may have difficulty finding qualified employees at first, but that will change as you adjust your hiring practices. You will get a reputation of having good honest employees who will put out a good product. You will get the reputation of being a good place to work! Bottom line. Here’s something to think about: If you are NOT drug testing your employees, you very possibly have a staff or crew that nobody else wants. Think about that.